I can't believe how late I am to this party. 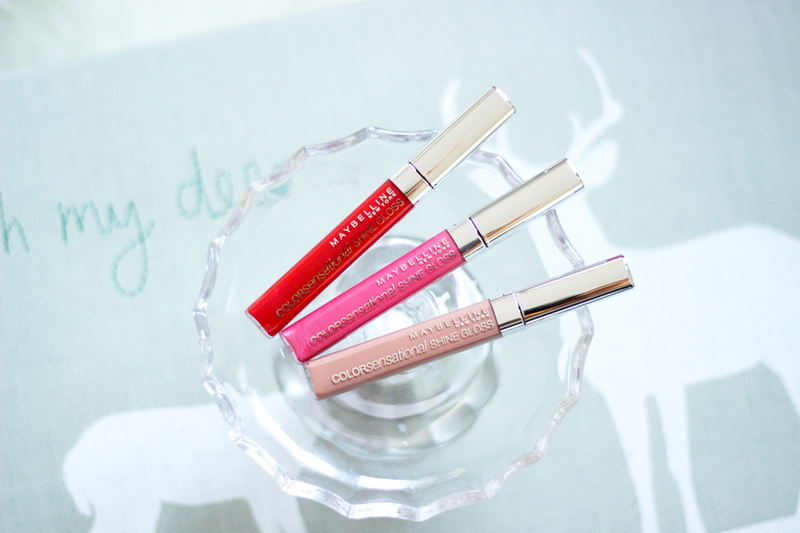 I often see these lovely Maybelline Color Sensational Lip Glosses displayed in Boots but I never bothered. To be honest, I am not really a fan of lip glosses because some of them are super sticky and shiny and I am not a fan of the look or how it feels on my lips. 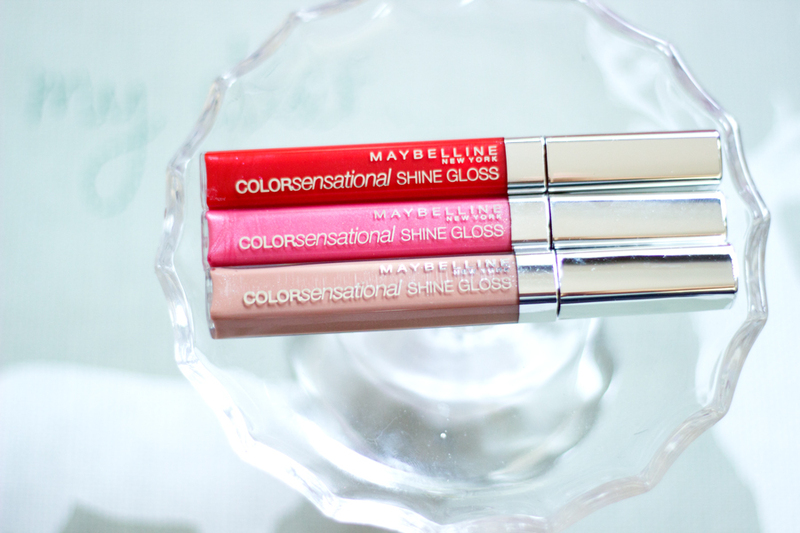 However, I am pleased to report that the Maybelline Color Sensational Lip Glosses are not sticky or super shiny. They are rather lovely and I had to scoop up a couple of them from Boots with my Boots Advantage Card Points. I really like how beautiful the packaging is and it looks much better than many drug store lip glosses. I particularly like Maybelline's packaging because it appears they put in a lot of effort to develop such lovely packaging. 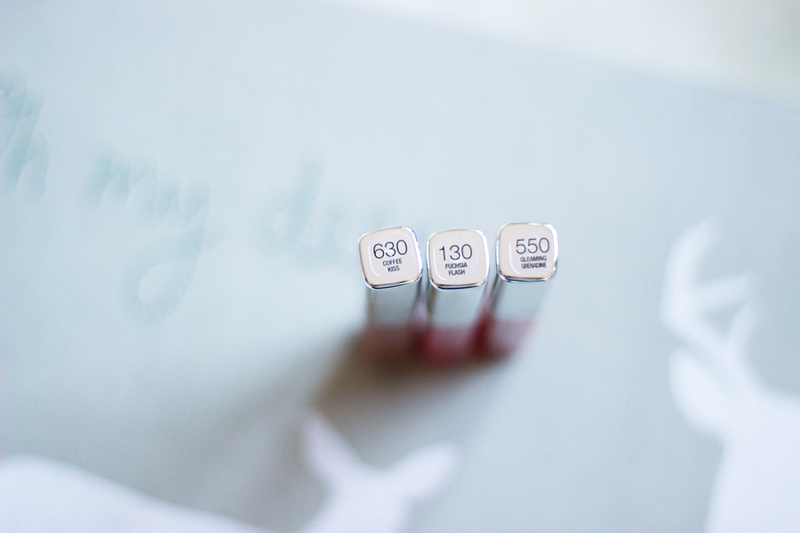 They are really slim tubes but a little bit long which I don't quite mind because they still fit into my makeup bag. They have doe foot applicators which makes it really easy to apply and I find that sometimes I don't need a mirror to apply it. The colours on the lip gloss look slightly different on my lips than they do in the packaging but that's because my lips are quite pigmented/dark. They contain 6.8 ml of product which I guess should last a good while. Coffee Kiss (630): It's a nudey brown beige colour with very tiny specks of glitters. It is not glittery to an annoying point but it definitely lifts the colour a bit and makes it look healthy. 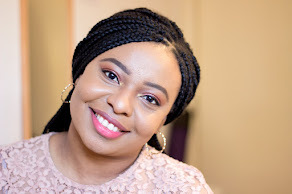 On my lips, it does look a little funny on its own but I always pair it with MAC Velvet Teddy or MAC Shy Girl and the combination looks lovely. Fuchsia Flash (130): It's a light pink shade which I suspect has cool undertones but I quite like this. It is one that actually shows up on my lips. I think it may show up differently on various skin tones. I pair this with MAC Love Lorn and other light pink lipsticks in my stash. Gleaming Grenadine (550): This is a slightly orangey red shade which I really like. It is a really safe red especially if you are not into red lipsticks or lip glosses and I can see this suiting everyone. This is the only shade that I have worn on its own a few times without pairing it with a lipstick. I love it. 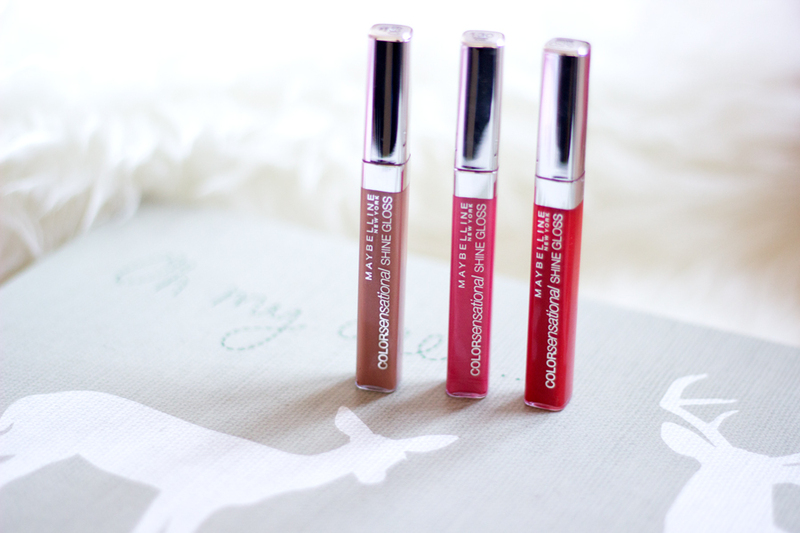 I really like the formula and texture of these lip glosses as mentioned earlier. 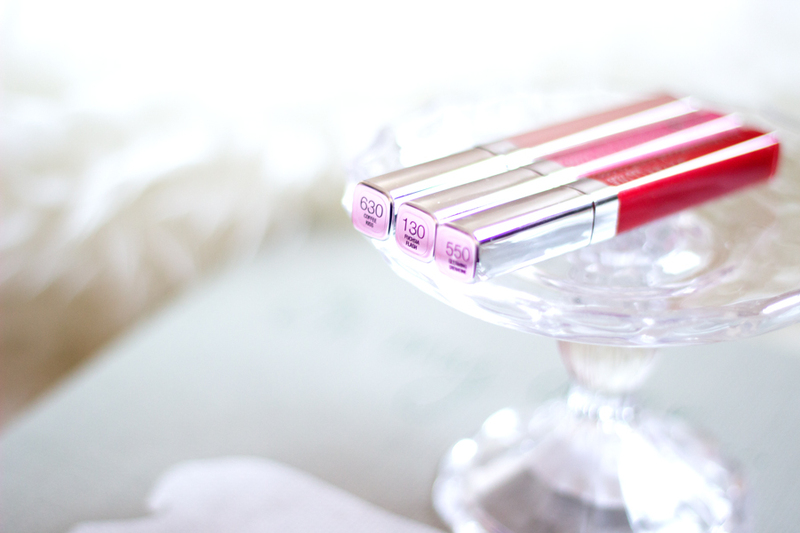 They are non-sticky and apply really well without being uncomfortable on the lips. 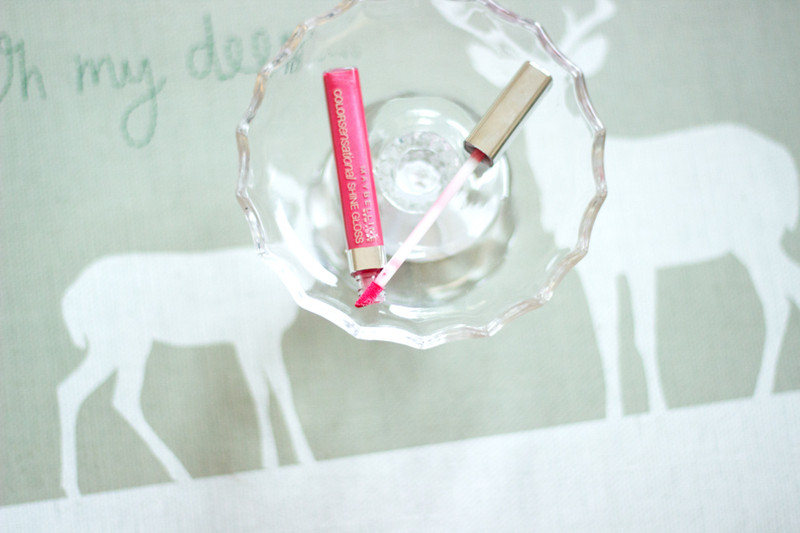 They are moisturising on the lips and have become my current favourite lip glosses. They have a very slight fragrance which is quite pleasant and not overbearing at all. Best of all, it does not taste horrible. 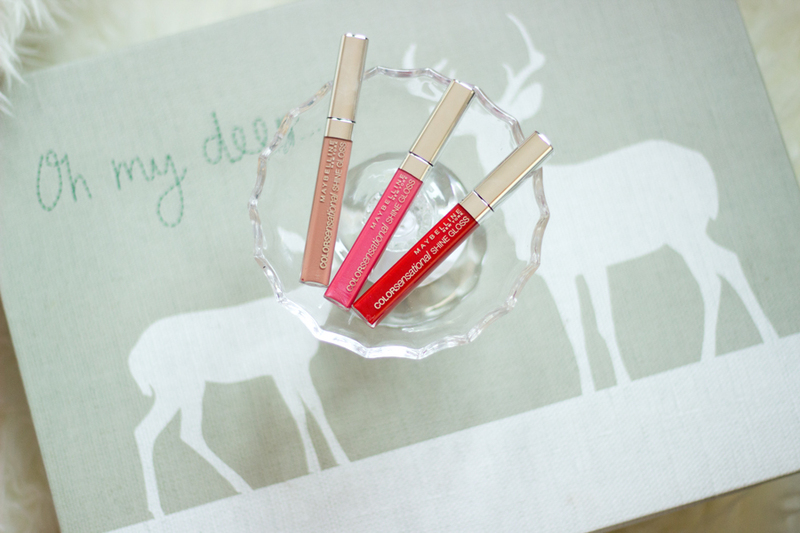 I am always up for reapplying lip glosses because I don't think they should last all day. 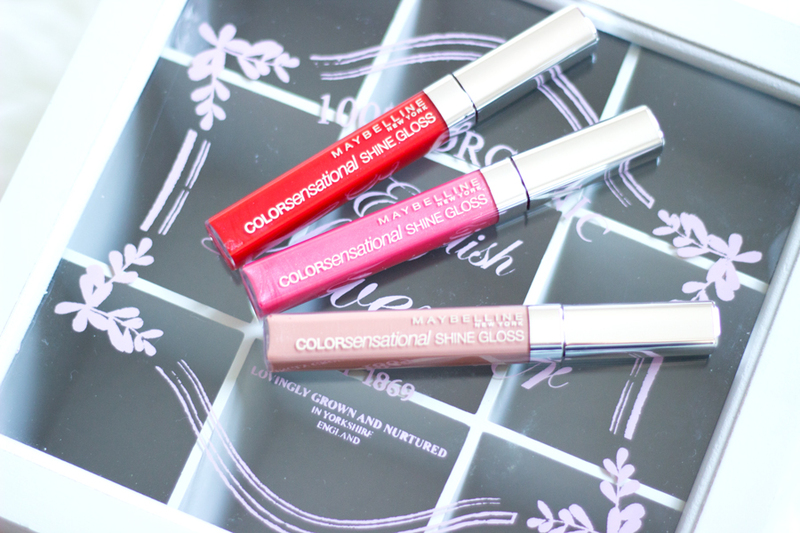 These Maybelline Color Sensational Lip Glosses may need to be reapplied during the day but I honestly don't mind and I am sure many people don't mind as well. These glosses are quite pigmented but I guess I should have stuck to the darker colours as their pigmentation is a bit limited when applied to my bare lips. 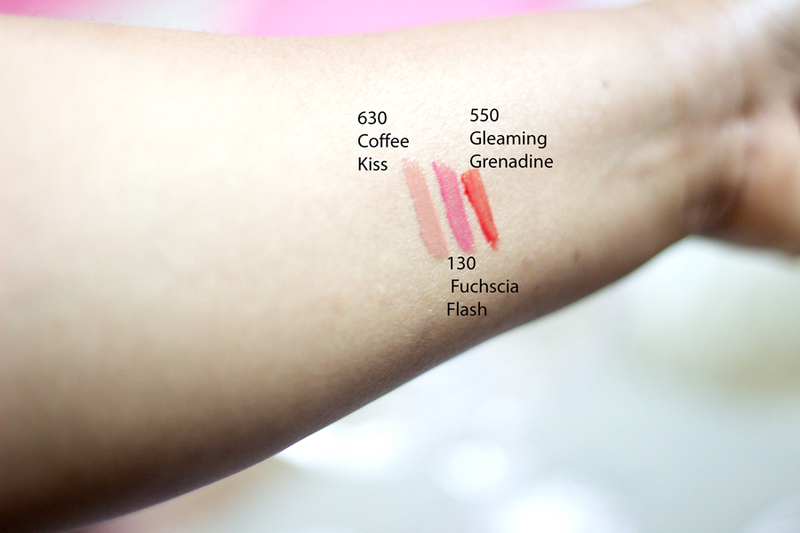 If you have paler/lighter lips, you will be pleased with the pigmentation. They retail for £6.19 and I find the 19 pence a little odd. Why isn't it just £6, £6.50 or £7? I believe they currently have a buy one get half price offer on Maybelline products in Boots and Superdrug which is very handy for these kind of purchases. I got mine with my Boots Advantage Points which felt so good.